Private Arthur Lipscomb was the eldest son and second child of Arthur James and Sarah Lipscomb. He was born in Coldharbour in 1890, the Lipscomb family had run the Plough at Coldharbour since at least 1841 and the premises had been built by Arthur’s great grandmother next door to the cottage which ad been the earlier establishment. 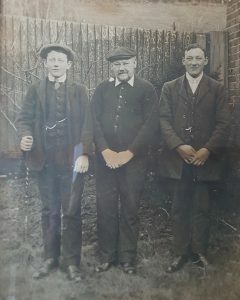 His father described himself as both a Licensed Victualler and farmer. 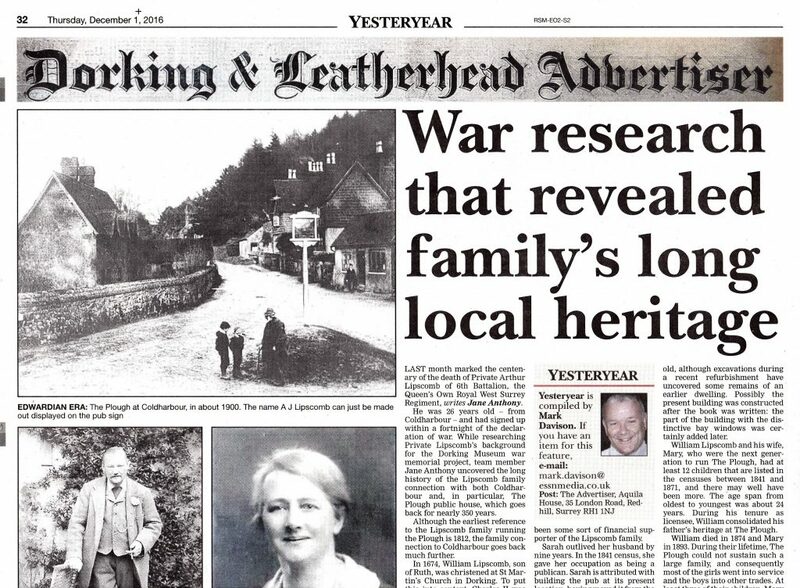 They were obviously fairly well to do as Arthur (known as ‘Arch’ to his family) attended Dorking High School. Although they employed some staff at the Plough, the Family were all involved in helping to run the establishment. As the oldest son it is most likely that Arthur was expected to take over the running of the business in due course. 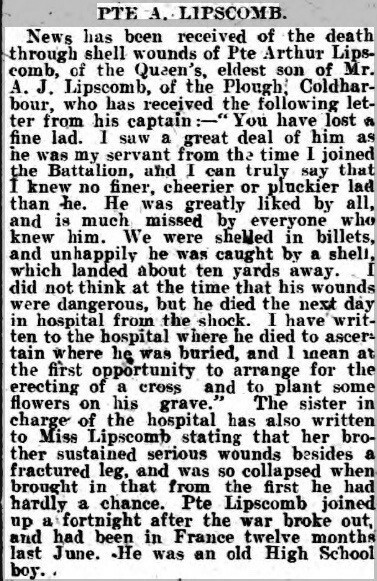 He had one younger brother George, his mother had died in May 1915 and his father in October 1917 it seems likely that the Plough changed hands after this. 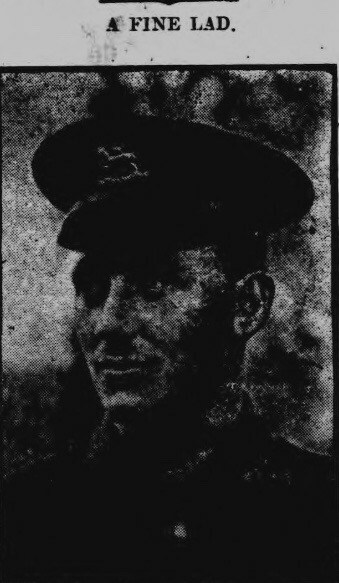 Arthur enlisted in the 6th Battalion of the Queens Own Royal West Surrey Regiment within a fortnight of the war being declared. 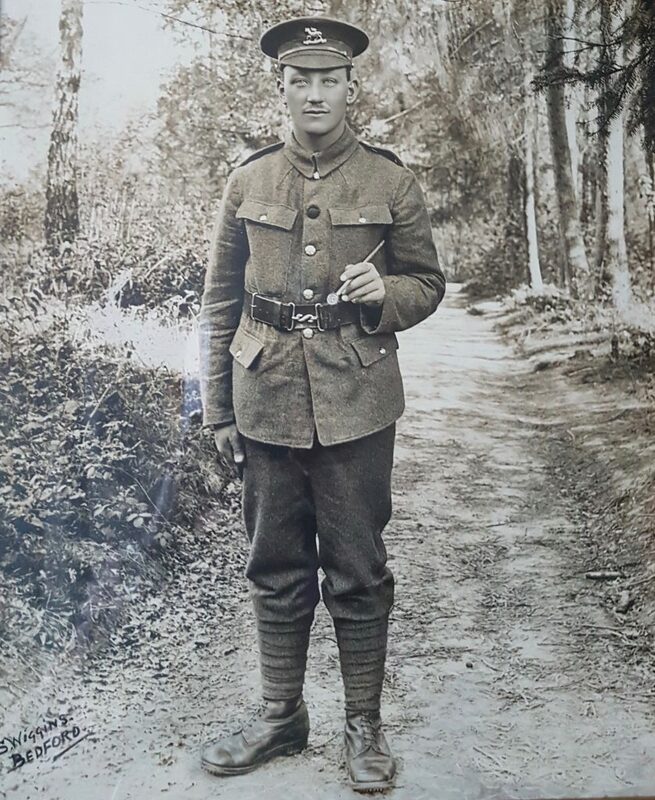 In a letter home to his family dated 10th July 1916 which tells us much about the conditions in which the war was being fought, Arch wrote: ‘I cannot tell you much but will tell you all when I get home. 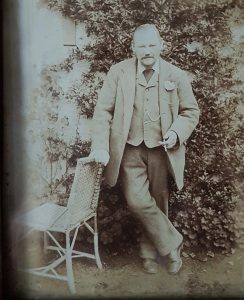 The water and mud is terrible & we did not have a dry thread for 8 days, we have had nothing but Bully beef and biscuits for 2 weeks & jolly pleased to eat that…Remember me to all the chaps and thank George Jelly very much for the fags…’. 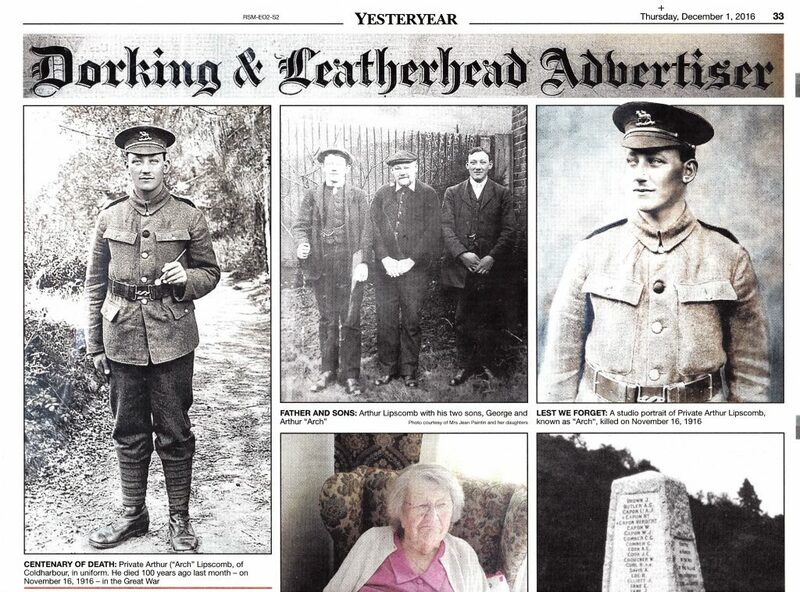 An obituary in the Dorking and Leatherhead Advertiser gives an unusually detailed account of both his character and his death. 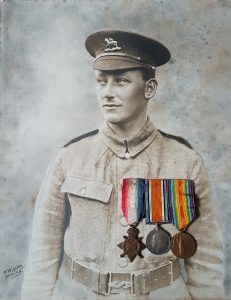 His commanding officer wrote of him: ‘I saw a great deal of him as he was my servant from the time I joined the Battalion, and I can truly say that I knew no finer, cheerier or pluckier lad than he. He was greatly like by all, and is much missed by everyone who knew him’. Arthur had acted as servant to the Captain commanding him, who obviously knew him well and liked him. Arthurs experience in working at The Plough must have stood him in good stead for this roll. At the time he was killed they had served together for over a year. They were shelled, whilst in billets by a shell that landed about 10 yards away. Initially the Captain thought that his wounds were not life threatening, but Arthur died of shock the next day. The Captain said that he hoped to find out where he was buried and erect a cross and lay some flowers on the grave. 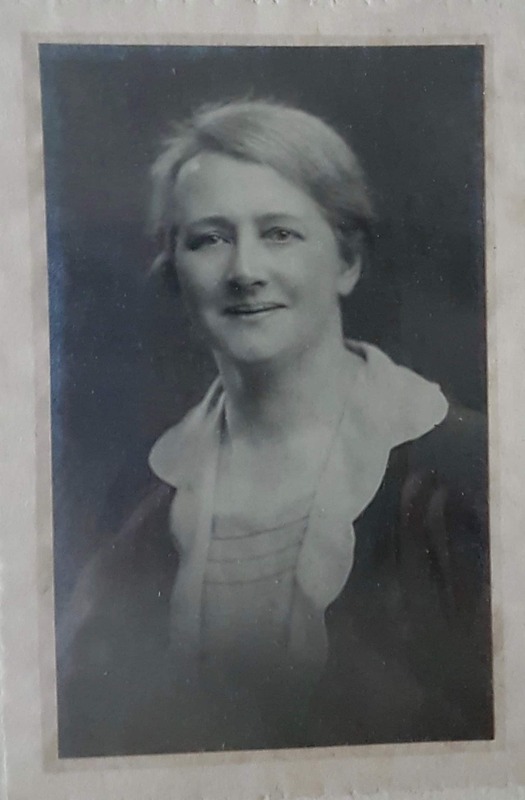 The family were also contacted by the sister who looked after him at the hospital; she said that apart from a broken leg his wounds were so severe that he hardly had a chance. Arthur Lipscomb was buried at The village of Avesnes-le-Comte, where the 30th, 37th and 42nd Casualty Clearing Station were based from April 1916 After April 1916 burials were made in the extension, which contains 333 graves. 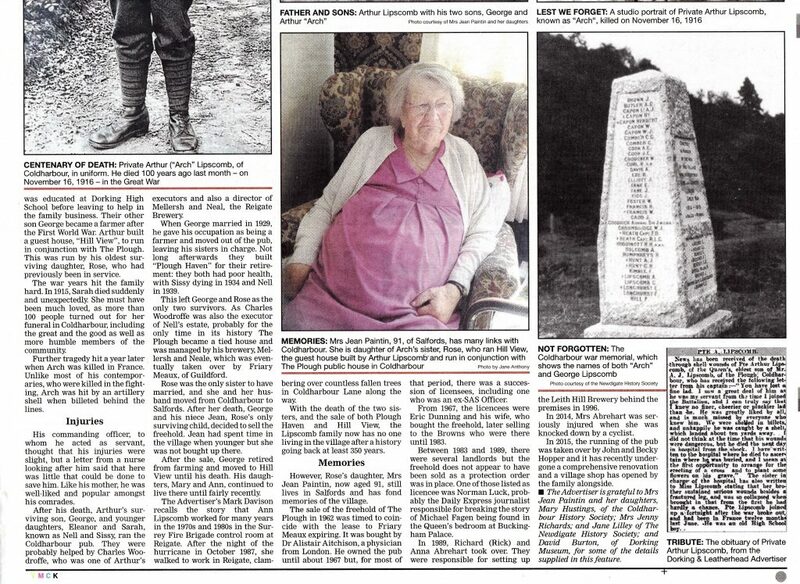 Most of these were from the 37th CCS which stayed in the village until July 1917. Unusually Private Lipscombe made a will and probate was granted to his father Arthur James Lipscombe. 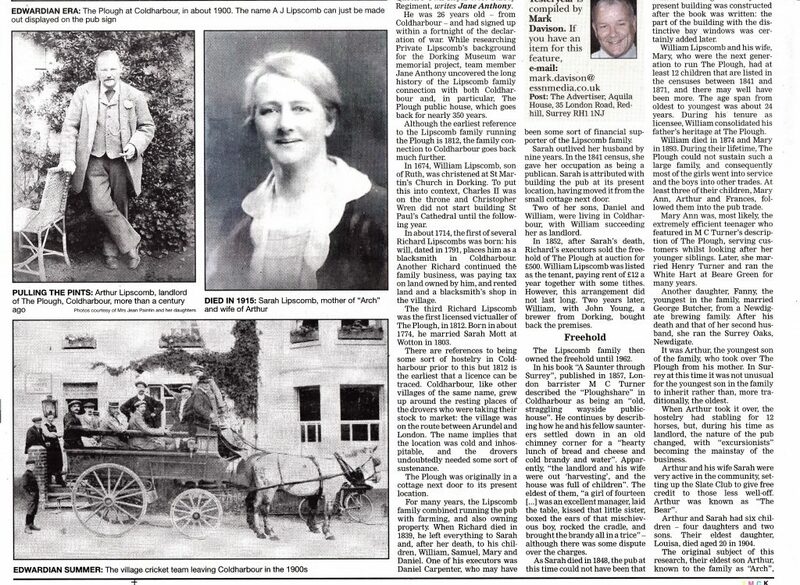 His estate was valued at £230 1/10d. He was unmarried. The following article was published in the Dorking Advertiser on 1st December 2016.